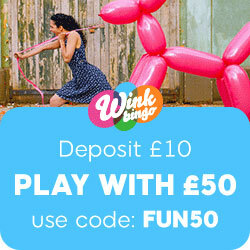 Mirror Bingo are one of the very few generous sites that offers players a £20 free when you make your first deposit, which they can test out certain games, promotions and offers! And there’s a beauty of a game you could really get into today, tomorrow etc by ‘Pre-Purchasing’ those playing cards at Mirror Bingo! The game is being referred to as “March Madness”! The ‘March Madness’ promo is the biggest pre-purchase game at Mirror Bingo so far this year. Tickets are only £1 – BUT in an exciting twist you don’t need to buy all your tickets! You can actually win one, two or three etc by building up those ‘March Madness’ points. Log onto Mirror Bingo for the full story players! March and ‘Spring’ are here players, so hope you are doing, what Mirror Bingo has been doing – cleaning out those cobwebs to reveal and grab yourself some pure hard CASH in the first Big Big jackpot of 2011 – a whopping £5,000! With the tickets being priced at a very reasonably priced £1 each! There are a number of ways to guarantee an Entry into this game – and several are completely FREE! So you know – 100 Points equals 1 FREE TICKET! SO, when you accumulate 800 Points you’ll get 8 Free Tickets! So, a few examples, to ensure you have an idea of how you can accumulate those points – log onto Mirror Bingo today! YOU MUST NOTE TOO that players can only qualify for Free Cards up to Wednesday, 23 March – so don’t leave it too long! DON’T BE FRIGHTENED OFF – its not a Joke – even though the Big £5,000 Game is on ‘April Fools Day’, Friday, 1 April at 9pm! YOU really do have heaps of time to either earn or buy those Cards – but don’t delay too long – otherwise the “Joke” will be on you! This entry was posted in Bingo Blog and tagged Mirror Bingo on March 3, 2011 by Emma.